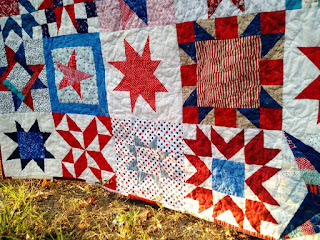 This week's finishes are twin string quilts. 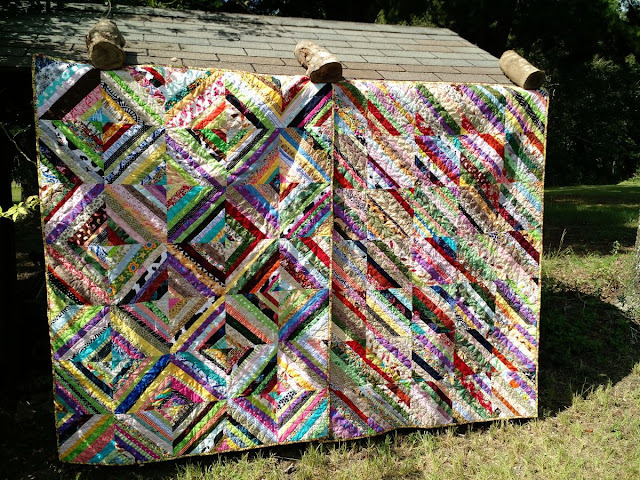 Mina sent in a big ol' stack of string blocks and Kathy was so wonderful, she assembled and quilted them over the summer! I like how Kathy made two different designs with the string blocks. As I was taking these photos I found some cute surprises in the fabrics. Like those fish, above! Someone is going to get a kick out of those fish, I just know it. I visited with Chaplain Perry the other day and noticed he only had one string quilt left from last year's batch. He admitted these are some of his favorites. 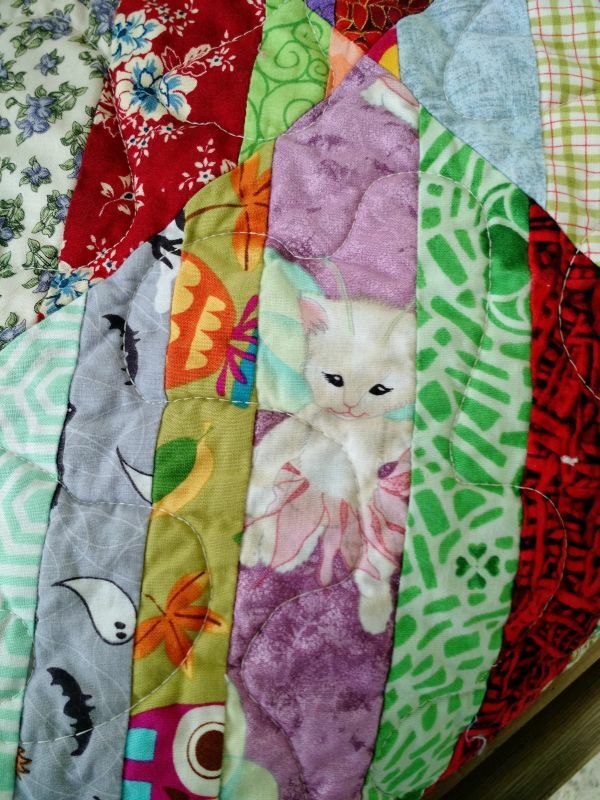 As Louise said in her post, scrap quilts really are special because they give people so much to look at and to connect to. Butterfly kitten wearing a tutu? Why not?! 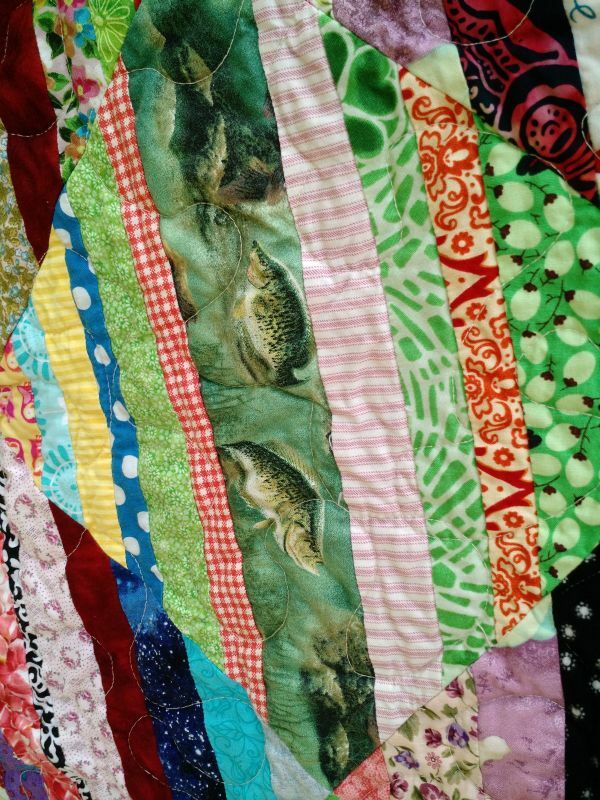 The gift of a smile at a really dark time is one of the very best things you can give someone, and something I really hope we're able to do with our quilts. If you'd like to join in with Covered in Love's mission you can learn more on the main page or check out the block drive. The current Covered in Love block drive just began and it's a red, white, and blue star free-for-all. This drive will run until the end of August if you want to help out. More info here! Wow, these turned out great! They are like I-spy quilts. They will be fun for the recipient to look at over and over. They are so cool! 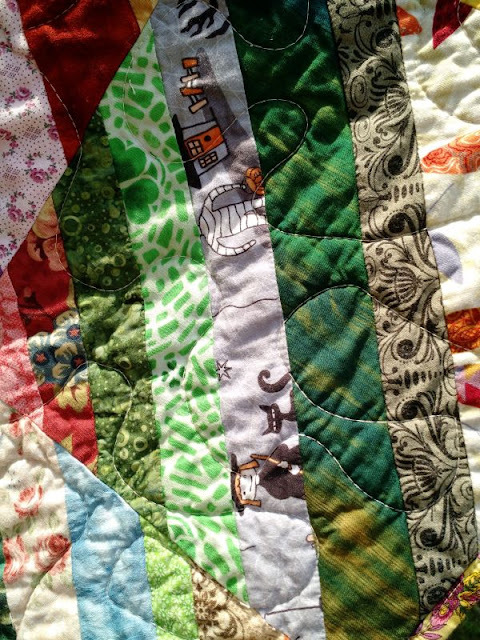 I never thought of scrappy quilts that way before, but it is true! I will be sure to add some novelty fabrics to my future scrappy ones. 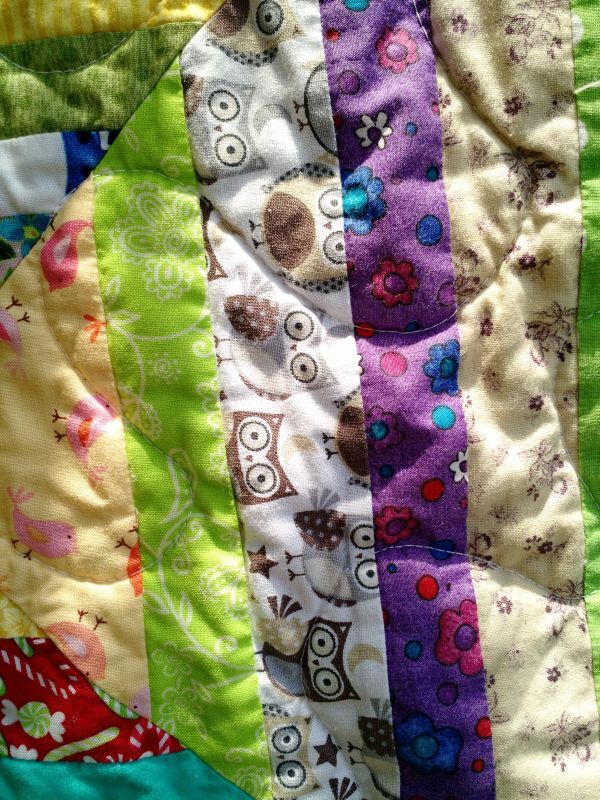 Great looking quilts. These will surely bring comfort to two families. The quilts are great and I love the way you secured them with the logs! So innovative. Looking for unusual prints in the string quilts is half the fun, right? A Different Kind of "Craft"